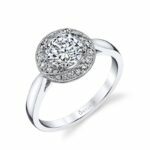 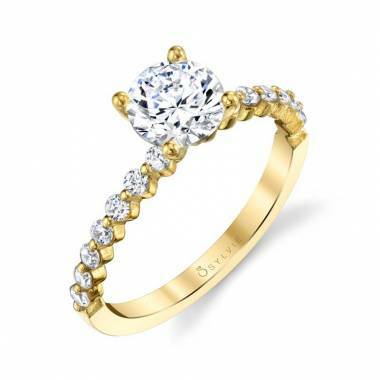 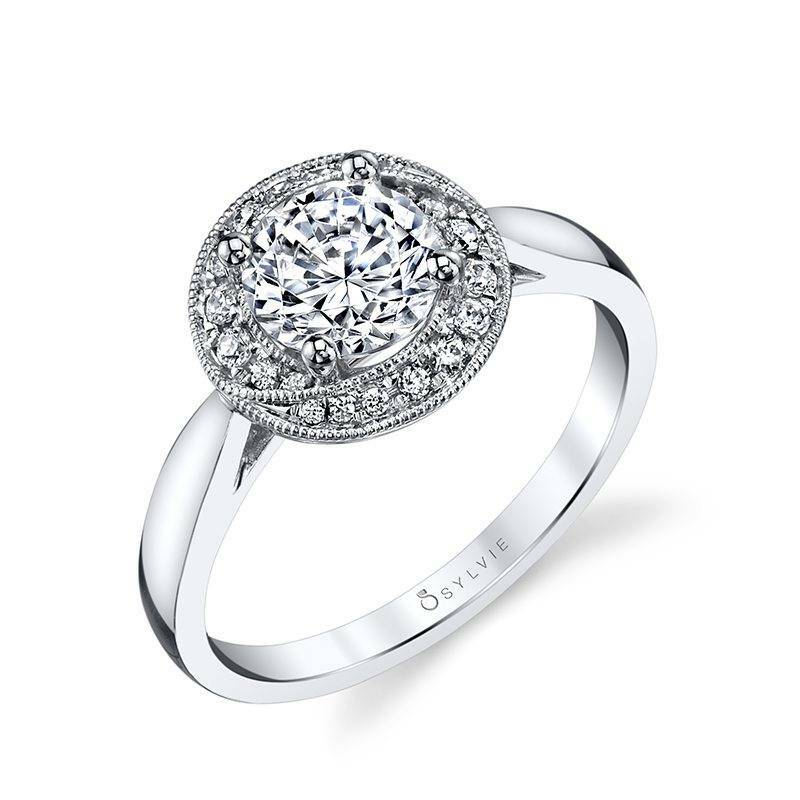 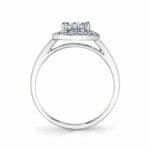 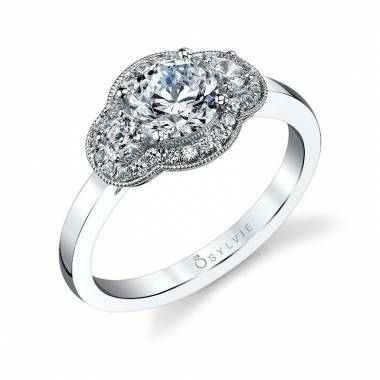 For a modern, stylish trend, this halo engagement ring features a gorgeous 1 carat round brilliant diamond embellished with an impressive halo of graduated sparkling diamonds within two swirls of milgrain accented borders. This setting is placed on a stunning shiny white gold band. 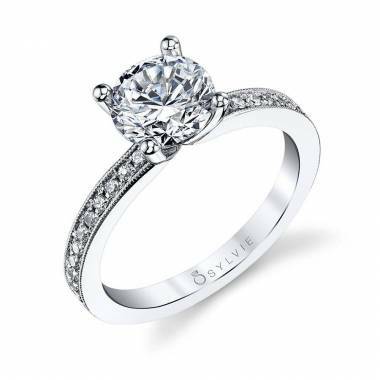 The total weight of this modern engagement ring is 0.31 carats.